Today on the podcast we sit down at Cloud Studios with the band Duke Evers. 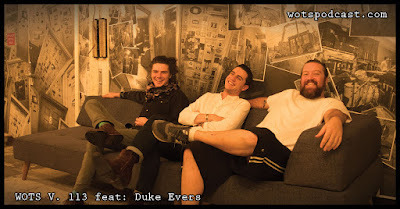 Joshua Starkel, Kyle Veazey, and Dune Butler tell us about their new album Velvet Hips, signing with a label, what they learned during the recording and label process and how bringing Dune into the band has added to their sound. We also talked about their first recording Handfull of Pennies, going to CMJ to play on a showcase and so much more. I hope you enjoy this conversation as much as I did.